To print your schedule, log into my.NWTC by going to the NWTC Homepage. Then, click on"Current Students" located at the top, right hand portion of the page. 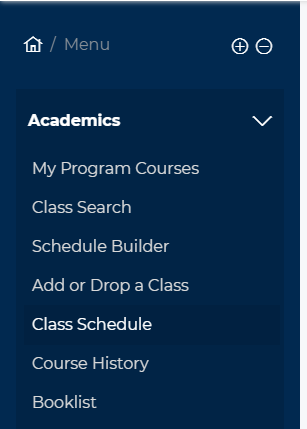 After logging in, click on the Academics link on the left side panel. Click on the printer icon in the upper right corner of the page to print. Weekly Calendar View: You can change the display view to this option to print out your weekly schedule. How much does it cost to print at the Library?